The legendary champion Sir Jackie Stewart revealed in an interview with Sky that he is fan of Sebastian Vettel and he expects more titles from the German if Ferrari could make a final step on the technical front. The three-time champion sees similarities between Sebastian Vettel and Alain Prost as the German "never overdrives". "He drives smoothly and cleanly. I would drive in the same way if I were a racing driver nowdays." The Scotsman can also recognize parallels to the record-time world champion Michael Schumacher as both have extraordinary skills on a wet track. Vettel only spent a year at Ferrari, but he has already integrated very well into the fabled Italian squad. He managed to score three wins after the tumultuous era at Maranello. Stewart thinks that it is only up to Ferrari whether they can make the final step to give the German a car which is capable to fight for the championship. 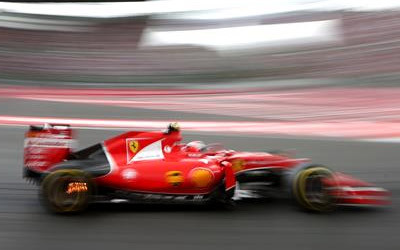 "Ferrari have to lift their game in terms of (getting) engineers. It is up to them. I am sure that he (Vettel) can then win more titles." Stewart is convinced that Ferrari has everything it needs to take on the fight against big rival Mercedes. "Mercedes has not been under pressure. They always has had the best car and brought upgrades." "Ferrari has more skills then any other team in the world" concluded Stewart.